Some transitions to a family of four have been difficult. Way more difficult in fact, than I naively anticipated. But, the transition to having a sister has been seamless for Abby. She gets jealous of the time Evie demands, she gets angry with us quicker, and throws more tantrums (am I making it sound seamless?). But, she has adapted to being a big sister and thrives in the role. 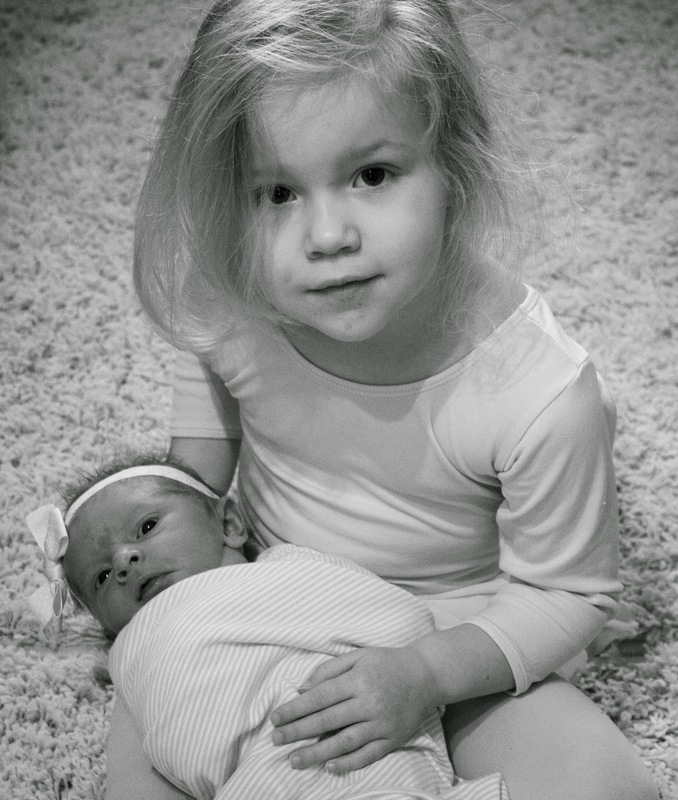 She adores her sister; she comforts her when she's crying, will do anything in the name of Evie (though refuses to do anything in the name of mom), and is so concerned if Evalyn is not within her sight ("where's my sister?!"). She confronts strangers, proudly stating that she is a big sister. She wants everyone to meet Evie. Evie probably fears for her life, half the time. But, sure will be grateful in the not-so-distant future for the big sister she has in Abby. A fiercely protective big sister.